All About the Hospitality Industry Legal Tax Cuts | HPM Associates, Inc.
First introduced in early November 2017, the Tax Cuts and Jobs Act of 2017 was signed into law by President Trump in late December 2017. It called for a number of changes to be made to the Internal Revenue Code, including many that have impacted the hospitality industry. It’s important for you to get a better understanding of these changes if your company was affected by it. One of the biggest changes that was made to the Internal Revenue Code as far as travel and entertainment are concerned involves the expenses that are paid by companies looking to entertain clients and customers. For years now, the deductibility of meal expenses incurred while traveling has been set at 50 percent. But due to the changes that were made, you’ll only be allowed to deduct expenses for your own meals while traveling now, not meals and other perks granted to customers and clients. You’ll be responsible for footing those bills on your own rather than writing them off on your taxes. Those companies that provide their employees with incentive travel trips will also be subjected to changes. They will no longer be allowed to deduct expenses tied to travel incentive trips on their taxes and will instead have to count them as regular business expenses. This change will only apply to those companies that choose not to pass the tax cost of incentive travel trips along to the employees who earn them. If companies do, in fact, decide to do that, the trip would then be taxed as personal income and would result in the companies having to distribute 1099 forms for tax purposes. The forms will need to include the value of the incentive travel trip. 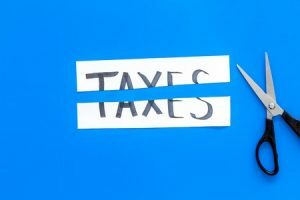 The Tax Cuts and Jobs Act of 2017 provided companies with a huge tax break in 2018 by cutting taxes down from 35 percent to 21 percent. That will allow companies to generate larger profits and could very well encourage many of them to put new travel incentive programs into place in an effort to spread their newfound wealth among their top-producers and clients. If you’re looking for additional resources, you could check out the Small Business and Self-Employed Tax Center, however always consult your CPA or Tax Consultant for an updated opinion and to be sure to protect yourself and your company. HPM Associates is excited to see how the Tax Cuts and Jobs Act of 2017 will impact the incentive travel programs in place at many companies. If you would like to learn more about how they work, call us at 305-274-0030 for more information!